All Lift Chairs adds Lift Chair Covers. August 26 – Raleigh, NC – All Lift Chairs, an online retailer of liftchairs for the elderly and disabled, is proud to announce that they will now be carrying lift chair covers. The lift chair covers that will be carried by All Lift Chairs, will be manufactured by Sure Fit, Inc. and come in a variety of colors and sizes. These covers can be used to cover up any hole, stain, or any other blemish that a chair might have. 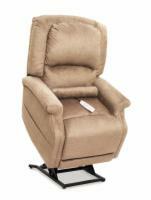 All Lift Chairs is an online retailer of lift chairs and lift chair accessories, for the elderly and disabled. For more information, please visit their website www.all-lift-chairs.com.